When I first started kickboxing, it was just a hobby to begin with. I began purely to get myself fitter as well as to test and challenge myself with a contact sport known to increase not only strength, but confidence and coordination too. I never thought that kickboxing would become my life. After losing my Auntie to cancer, as well as losing my job, kickboxing became such a prominent part of my life that the sport gave me the strength and determination to pull through all these hard times. So, as my passion for kickboxing grew, I felt like I owed something to the sport for giving so much back to me, that’s why I started to develop a business in the sport. 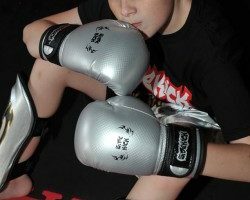 In 2010, I started Sidekick with the aim to be a national brand of kickboxing equipment. In order to complete this mammoth task, I started to look at my competitors as well as the leading sellers to beat. By doing this, I was able to develop my brand and consider the advantages which Sidekick had over other businesses. The brand went from strength to strength, eventually leading to us sponsoring many world champions and leading shows. Sidekick was even sponsoring fighters internationally, which meant that no only had I fulfilled my original aim to be a national brand of kickboxing equipment, but I has surpassed it and become internationally known too. As a result of this, Sidekick began to have an increasing demand for our products. This meant that I worked around the clock in order fulfill our customer demands. There were even times when I worked past 2AM so that I could get my customers the products they had ordered on time. I believe that in all my years in Sidekick, I have never let anyone down as a result of my passion and determination for the sport and my business. I am, and always have been, a man of my word and I feel that resolve is what has kept my strongly grounded in the sport. Yet, even with all the success that Sidekick has seen in recent years, there have also been many challenges in which I have had to overcome. A few years ago, I felt like I had lost my mojo and that my heart wasn’t quite as passionate about the business as it once used to be. With hundreds of thousands of pounds worth of stock ready and waiting for the customers, the main man of the company wasn’t driving it. I felt like the challenge was too much to overcome so I was so close last year to throwing it all away. However, with the unconditional support of my wife and my family, I found my way back to the business, the sport, and most of all, myself. I realised that in order to recreate the success I once had, I needed to rejuvenate Sidekick with a completely new look as well as a fresh start, which is exactly what I did. We are now less than 6 months into our relaunch and the success that we have now seen is astonishing. The sport and the business are now flourishing, and I feel like I have worked hard to overcome the challenges which tested me only a few months ago. It is as a result of the many good friends I have made in the sport that I keep going as it is an absolute pleasure to say that I have helped them in any way. It goes a long way to show how much people appreciate how much Sidekick has done to help the fighters as well as to promote the sport itself too. For as long as I can remember I have always been an innovative, independent and driven person. I have always strived for the best of the best and I always work towards achieving greatness in everything that I put my mind to. I am especially passionate about business and business creation, especially since I opened my first Vehicle Body Repair Centre at the young age of just 23 years old. Throughout my time at Autocolourworx, I always put my all into making it a successful and innovative business which not only resulted in customer satisfaction, but also my own satisfaction as well. However, after two very successful years, I decided to sell my portion of Autocolourworx to my business partner, Jamie. I did this in order to fulfil my dreams of beginning a new venture which didn’t require the increasingly expensive overheads of running a shop-based business. As a result of my passion and drive for kickboxing as well as training religiously nearly every single night, my new business venture seemed to just fall into place perfectly. At the time, my Dad went on an exciting holiday trip to Thailand, and when he came back, he mentioned to me that various types of boxing equipment were far cheaper in Thailand than over here. Through learning about Thailand from my Dad, I began thinking about distributors, especially in order to learn how to begin this business venture that I was so keen to succeed at. Using my initiative, I found a distributor in Thailand who was not only cheap, but reliable too. This distributor would send me all of the top brands of kickboxing equipment for me to sell back here in the UK. Although this avenue of thinking was great at the time, I slowly began to realise that the margins weren’t as good as I first expected them to be. I realised that for this venture to really take off, I would require thousands of pounds of investment in order for it to be a true success. I needed an alternative route so that I could begin to set up my new business venture. I thought of various ways in which I could produce my own brand that would allow me to completely control the production of my own equipment at all levels. After getting the factory sorted, I made sure that the quality of my new products was perfectly designed for all of my potential customers. This route was not only more productive than my previous ideas of finding a distributor in Thailand, but it also meant that I could produce high-quality and reliable pieces of equipment that would suit fighters of all levels. After sorting out all the logistics of starting my new business venture, I needed a name that would make my brand not only well-known, but that would also suit the kind of equipment that my business produced. I sat for hours and hours brain storming different potential names. I thought of moves used in kickboxing, as well as words associated with the field of fighting. After much deliberation, I decided on the term ‘Sidekick’ which is a very famous move in kickboxing, although it is not much used in more modern K1 styles. The term ‘Sidekick’ also had an additional meaning, associated with companionship and teamwork which I thought was the perfect name to brand my new range of quality fighter’s equipment with. After running for almost a decade, Sidekick is the product of my passion and drive to succeed in everything that I put my mind to. The brand is a result of innovative thinking as well as many years of hard work. I hope that all of my work in building ‘Sidekick’ as a brand has paid off in not only the quality of my products, but also in my customer satisfaction too. As we have been running for almost a decade, one of Sidekick Fight gear’s biggest priorities is sport sponsorship’s. I’m sure we all see big names like Anthony Joshua and wish we could land a huge sponsorship deal or big endorsement like those fighters, but in reality it’s not always that easy. My name is Daniel Knight and I know what a fighter goes through from week to week working hard both in the ring and in the office. As a kickboxer, I have spent thousands of hours training in the club, and I have been graded to a 1st degree black belt, and I have also competed at local events which have run up expensive costs. 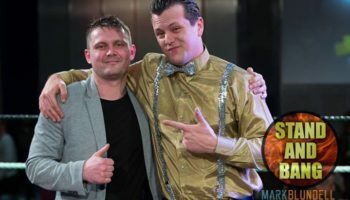 Running Sidekick is equally gruelling, but extremely rewarding, as the promotional side of the business has lead to meeting a lot of good friends and promoters which I now work with closely such as Stand and Bang, Shock n’ Awe, FCC “Full Contact Contenders”, BCMMA, Kombat Zone, and so many more. Our selection of hard wearing as well as visually appealing fight merchandise has also attracted a few and met celebrities such as Alex Reid, Dizzee Rascal and even Katie Price, who was seen getting into her Bentley with one of our Sidekick sports bags. From amateurs to pros, we frequently get emails from fighters at all levels of their training and we do our very best to reply and give helpful advice. The best bit of advice that I can give when approaching a company for sponsorship is to research the company first. You must have a clear understanding of what you want and what you can bring to them too. This is because a sponsorship is a deal that has to be mutual for both parties. We often help fighters with sponsorship when they compete on big promotions like GLORY, BAMMA and Bellator. Although it’s rare they can also struggle with promotion and look to make quick and expensive deals for both brands and fighters. You must also be easy to contact, as well as able to travel to events and facilities in order to become the best fighter you can become. A great way to get attention is social media platforms such as Instagram, Twitter, YouTube and Facebook as well as many other types of online presence. The question is, can a platform that attracts lot of people to see pictures and videos impress a promoter? I often get a great email from a fighter then do some research on them myself only to be let down by their lack of presence online. However, a great way to change this is to ask some questions about your online presence such as: do you look good? Are the pictures and videos clear and aesthetically pleasing? Am I showing my best achievements? Which gear am I wearing? It is also important to know your worth as a fighter. The big names know not just how big they are and how much exposure they get, but just how much exposure they can offer a company. This is the ideal way for you to become the best fighter that you can possibly be as well as to get the best promotions too. When I see fighters in Sidekick gear it goes a long way as a company wants to see you believe both in yourself and in the brand you want to endorse. This will always provide a great opportunity to be noticed as a fighter. I hope this quick guide helps you. 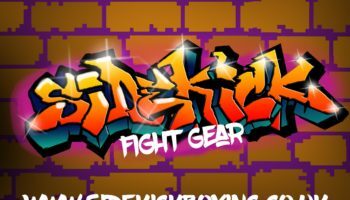 From our humble beginnings in 2010, Sidekick has quickly become the leading UK boxing and MMA fightwear equipment brand. Strong enough to withstand any forceful training regime, our products are built to withstand the test of time, as well as repetitive strain. Sidekick’s products are dependable and we are known for our durable cost-effective and quality equipment. This is because we have always strived for the best and most innovative products as well as designs. Having had the pleasure of working with, and sponsoring, many fighters and brands such as Glory, Bellator, BAMMA and Cage Warriors, we know our stuff. Having cemented our place in the combat industry, our unique brand has become synonymous with the cutting-edge kickboxing community. This means that we are always working hard to make sure our products benefit not only our customers, but are also at the forefront of inventive fightwear. We are fortunate to be part of something unique and special, and, as a result, we needed our logo to be unique and special too. So, even though our old logo served us very well, after such a long time with the same logo, we thought we would change up our image to keep up with our innovative merchandise. Like our products, our new logo is now bright, shiny and new, a bold representation of what our brand and products can inspire. Adopting a graffiti-style text, the striking logo encapsulates our branded name and, like our products, a fearless style. It is striking, forceful and daring, just like how we want our customers to feel wearing our strong and durable products. The logo has a splashes of bright contrasting oranges, reds, purples and blues, which we think epitomises our urban and boldly combative spirits. This new artwork was designed by Dan Walls, the owner and artist of Illumination Wall Art (Facebook- @illumination.wallart, Instagram-@illuminationwallart, Twitter- @IlluminationWal). Based in the North East, Illumination Wall Art is a specialist graffiti mural painting service whose goal is to make art for all. Known for his bold artistic style, Dan Walls stated that the logo design was created with the inspiration of our “fantastic durable fight gear [and as a result needed] the best artwork around!” Converting Dan’s artwork to be compatible digitally, our own graphic designers worked to incorporate our new logo onto our wide variety of social media profiles as well as merchandise. This means that our new logo is featured on not only our website, Instagram page (@sidekick_boxing), Twitter (@Sidekickboxing) and Facebook page (@sidekickboxing), but also on a whole range of our products including our Cobra Series Boxing Gloves, FTR Line Boxing Focus Pads, our Kickboxing Sets and so many more. A vivid contrast to our old logo, the bright colours provide a visual focal point for our merchandise, which unmistakably labels each of our durable and reliable products with our illustrious Sidekick brand. Our new logo ensures that Sidekick continues developing and growing, not only as a brand, but also within the wider combat industry. Sidekick isn’t a brand to be ignored because we don’t blend in, we stand out! Check out our website to see more of our products featuring our new logo. 1) You should be exciting to watch. Everyone remembers an action-packed fight. With exciting fights comes more exposure. 2) You should be a good spokesperson to represent our company. As a sponsored fighter, you are also assuming the role of a brand ambassador. Prove that you can positively promote a brand by promoting yourself and building a solid following. 3) Be a role model inside and outside of the ring. It’s easy to get behind someone that others look up to. It’s also easy to work with someone who is respectful and humble.